If you’re like most folks, you might have a few generic hobbies such as binge-watching your favorite series or sport during the weekend. Mention metal detecting and most people will think you are referring to that activity old guys do on the beach instead of enjoying a tan. 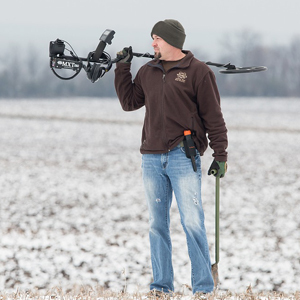 On the contrary, metal detecting is one of the most involving, fun, and rewarding hobbies that you could pick up. This is because it beckons on our very natural instinct of hunting. The perk here is that you are doing actual treasure hunting. Every time you hear the beep sound from the metal detector your heart races because you anticipate what you might just have come across. This is what makes the hobby so exhilarating. 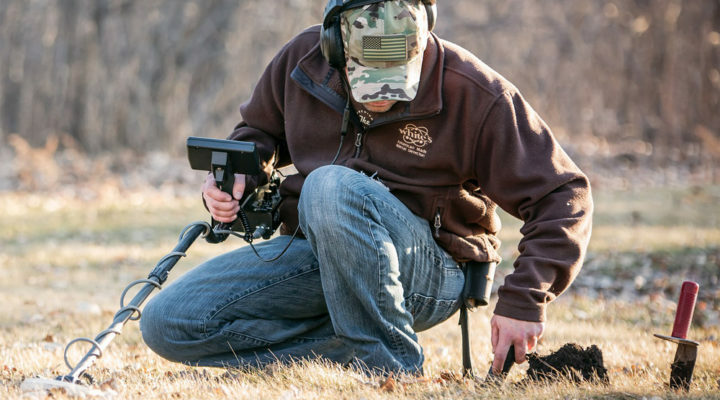 Now before you rush off to get the best metal detector and start thrill chasing, let us have a detailed look at metal detectors and how to use them. The Gold Rush of the 180os prompted the idea of building a device that would help prospectors easily locate the metal buried underground. The first person to use it for this operation would stand to make unfathomable riches. Interestingly, however, the first documented use of a metal detector was in 1881 by Alexander Graham Bell in a bid to save the life of the then US President James Garfield. On July 2, 1881, there was an assassination attempt on the president which even though was unsuccessful, resulted in a lodged bullet in his back which doctors could not trace. Mr. Bell, a friend of the president, designed a metal detector to help find the bullet. Unfortunately, the attempt was unsuccessful. They only realized later that the metal springs on the bed are what interfered with the machine’s sensitivity. The President died of infection from the wound on September 19, 1881. That metal detector became the prototype for all the subsequent detectors that were designed later. 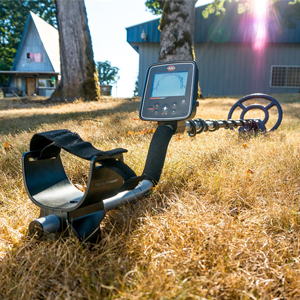 In its basic form, the best metal detector consists of an oscillator that discharges alternate currents which pass through a coil that has an alternating magnetic field. This means that when a metal gets within range of the coil, the currents from the coil get induced to the metal which results in the metal having an alternating electric field of its own. The device will then register a change in the magnetic field thus signaling that there is a metal within range. Apart from mining, metal detectors were used extensively in the First and Second World War in the detection of unexploded bombs and landmines across Europe. Additionally, they have also been used in archaeology, security, geophysical prospecting, and treasure hunting ventures. With You-tube nowadays, any skill can be learned from the confines of your house or office. However, there is no substitute for the actual thing, so it is essential to get a hands-on approach on the field. You can rent a detector for as little as $10 for a couple of hours. Ask for assistance from someone who is experienced to show you the ropes. If you buy one, ensure that you thoroughly go through the manual and take in all the details. To be efficient in your skill, you need to put in a lot of time in practice. Learn the different sounds that the metal detectors make for different types of metals. This will save you a lot of time during your hunts, so you do not have to stop for every nail or pull tabs from pop cans that you come across. Following a trend when searching is crucial because it will help you save time. This is because the pattern ensures that you do not cover the same place twice. You could start by working the borders first as you come inwards, or by dividing the area into portions and work each individually. The actual pattern followed does not matter as much as making sure that you have one. If you come unearth an item that is not worth much to you such as a rusty nail, instead of throwing it back, just put it in your trash bag. This is to ensure that you do not rediscover the same item during a separate quest. The most common rookie mistake among new users is cleaning up artifacts they find. This activity potentially lowers the value of your prize. Use a soft brush instead to remove the dirt residue, rinse it in clean water, and then gently pat it dry. When in doubt, put it in a zipper bag and have a professional look at it. Headphones not only block out other noises such as the wind, they also help you focus on your task while assisting you in hearing the beeps more clearly. The hunting that you want to do; relic, coin, gold, or beach hunting. Your experience level at metal detecting. You can purchase cheap metal detectors readily at a local department store, pawn shop, or antique shop. You could also purchase them online where you can get a good deal. 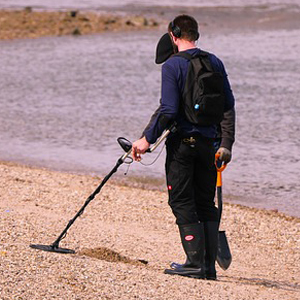 Metal detecting, however, involves a lot of digging and therefore it is your responsibility to ensure that you leave the place as good as or even better than you found it. Have fun on your adventures. Thanks for reading metal detector reviews.